If the problem persists, please send us a message to email [email protected]com so we can help you out. This topic contains 12 replies, has 2 voices, and was last updated by Danny 4 days, 9 hours ago. Hello, I bought Roneous yesterday and I’m trying to make an artist website. this demo portfolio page. But I have some problems. I don’t know how can I do for height long images looks good. I think I can’t make another thumbnail images for the gallery. If I can change the gallery thumbnail, grid to masonry, I think it could be changed. Thank you and I’m waiting for your help! This topic was modified 1 week, 5 days ago by design60. 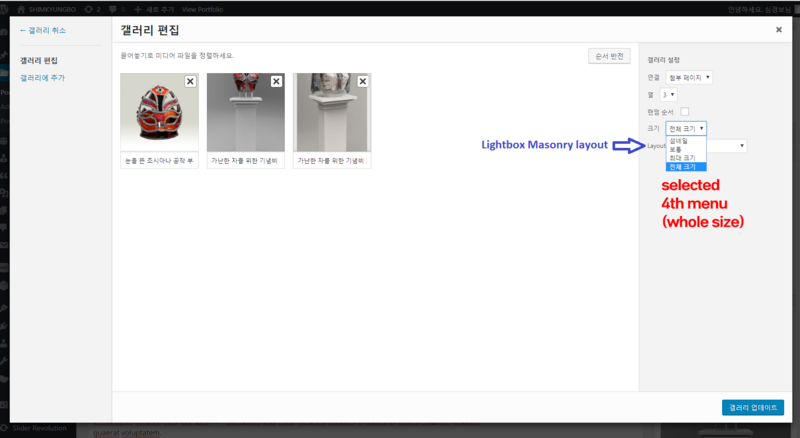 As you told me I changed to lightbox Masonry layout and have some problem. I uploaded only 3 images in this portfolio gallery but I can see other all images not in this gallery. I tried several times, when I choose the layout to “lightbox”, I can see only 3 images in this portfolio and the thumbnail looks bad. When I choose the layout to “Lightbox Masonry”, I can see all images in the media library and the thumbnail looks better. Help me, please! I want looks good thumbnail and only 3 images in this page! This reply was modified 1 week, 4 days ago by design60. In fact, I want to make a portfolio page looks like this page. Is would be same contents with http://shimkyungbo.com/portfolio/2018-2019/ page, but it divided left and right. 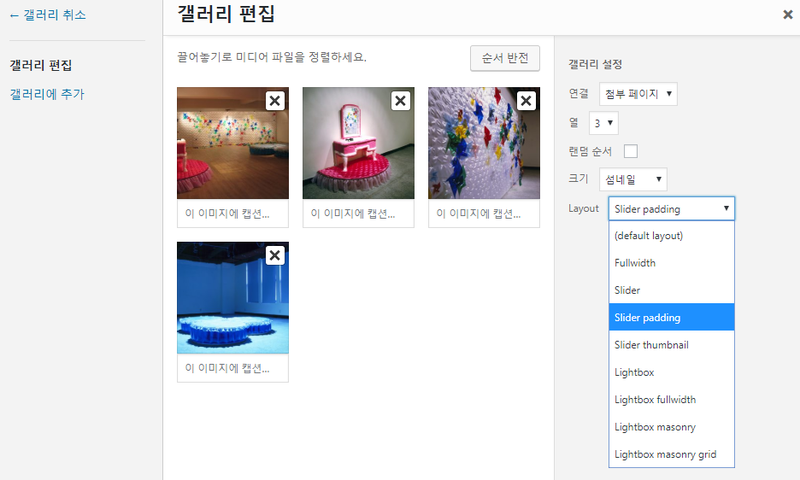 I used WPBakery page builder because I want to put gallery contents left side. I put the [gallery] code and made it, but I want to make it two columns(now three columns). I choose it two columns but not changed. This reply was modified 1 week, 3 days ago by design60. 1. Yes, it was caused by you’re using the “Slider Padding” layout, the gallery will clone all the images gallery to make it scrollable. If you don’t want it, please use another gallery layout. My English is not so good and there were so many questions. All of your advice is so helpful. This reply was modified 4 days, 21 hours ago by design60.